The pace of existing home sales rose in September, but remains slightly below the pace from the same month last year. Demand for existing homes appears to remain high even after rebounding to post-recession highs this summer. Prices have not begun their usual seasonal decline for the latter part of the year; instead, they continued to increase in September and they remain well above prices from the same time last year. 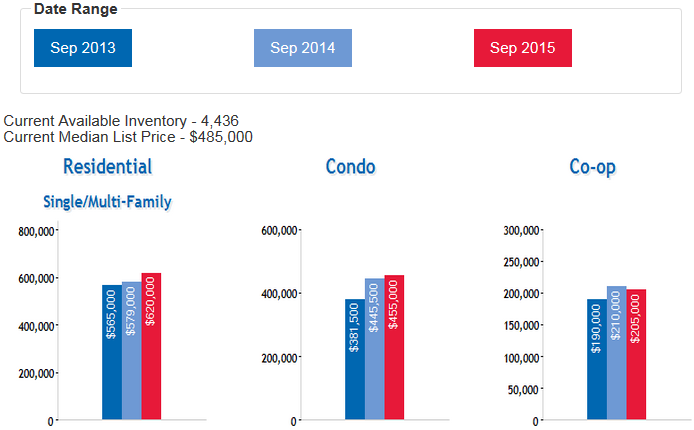 Inventory remains tight, contributing to year-over-year price gains, but has eased slightly on a monthly basis. As interest rates remain low moving into the fall, the Queens housing market is likely to continue to post year-over-year gains in the upcoming months. 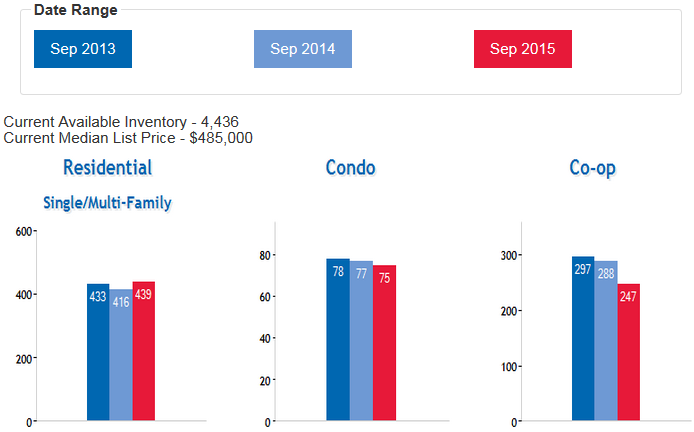 Overall, we are seeing fairly high, summer-like demand for Coops, Condos, and Residential Homes. The anticipation of a rate increase by end of year seems to have buyers moving quicker to find a buy something. 30-year interest rates took a slight downward tick again in September as global growth concerns continue to impact markets. 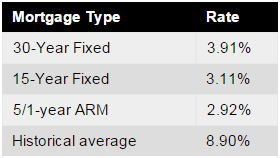 Currently, Freddie Mac reports the following figures: 30-year fixed rate, 3.91%; 15-year fixed rate, 3.11%; 5/1-year adjustable rate, 2.92%. Homes sold at a seasonally adjusted annual rate of 761 homes in September, up 2.1% from August and down 2.6% from the same month of the previous year. Surprisingly, we aren’t seeing a falloff from the rebound effect seen this summer after weather subdued home sales in key regions this spring. Sales in September were slightly below year ago levels, but they reached a high point for the year of 2015. Specifically, Residential home sales are up 5.5%; Condo sales are down 2.6%; And Coop sales are down 14.2% compared to the same month last year. Home prices rose again in September to $430,000, up 1.2% from August and still up 7.5% from the same month of last year. As we move into the fall months, we should begin to see some seasonal alleviation on prices; however, year-over-year gains will likely remain strong especially considering the fact that interest rates are remaining very low. Specifically, Residential home prices are up 7.1%; Condo prices are up 2.1%; And Coop prices are down 2.4% compared to the same month last year. 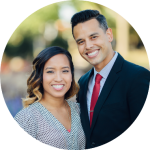 Would you consider selling your home at a specific price? Sign up to receive an alert is a buyer is interested. The actual number of homes for sale in September was down 4.5% compared to the same month of the previous year. 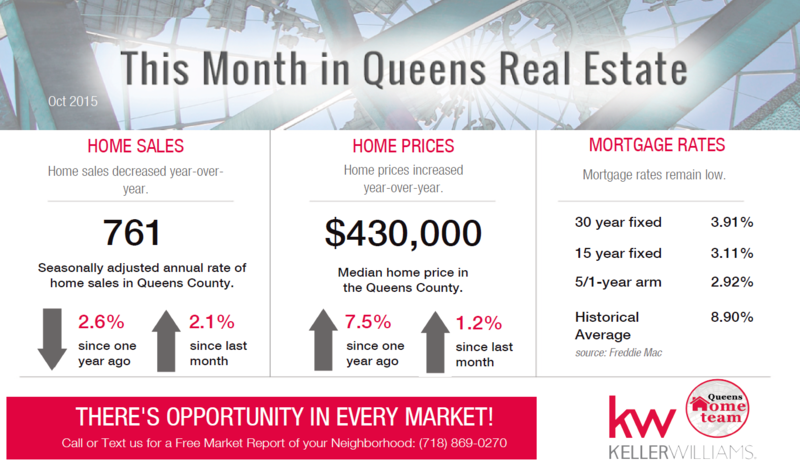 This equaled a total of 4,495 homes for sale in Queens and led to months supply of inventory, which measures the relationship between supply and demand, to drop to 6.5 months. This number remains tight as low interest rates spur buyers to enter the market. New home construction has recently shown signs of increasing across the county; however, this recent uptick has not yet been enough to alleviate pressure on existing homes. 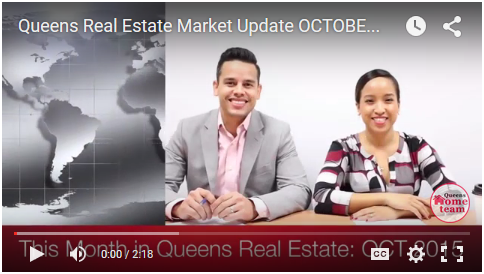 Blog and Queens Real Estate Market Report provided courtesy of George & Abigail Herrera w/the Queens Home Team at Keller Williams Realty Landmark II.